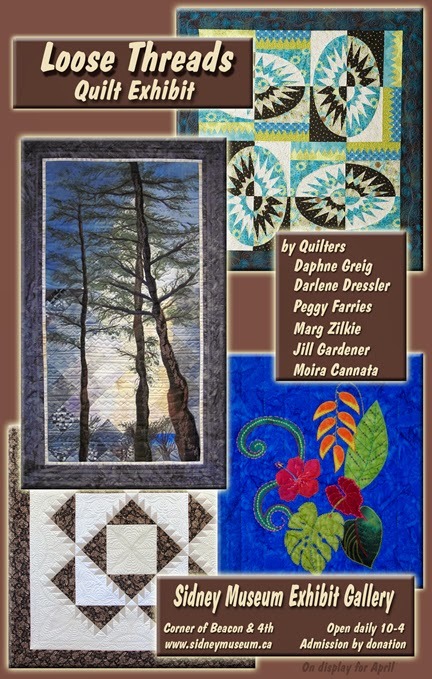 My weekly quilt group, Loose Threads, is having a quilt exhibit at the Sidney Museum Exhibit Gallery for the month of April. If you are in our area please drop by and see quilts from many of the members of our group. Sidney is a lovely small town just north of Victoria, BC. We have great shopping and restaurants. Why not make a day of it!